round posts suitable for an unlimited variety of fencing and landscaping applications. 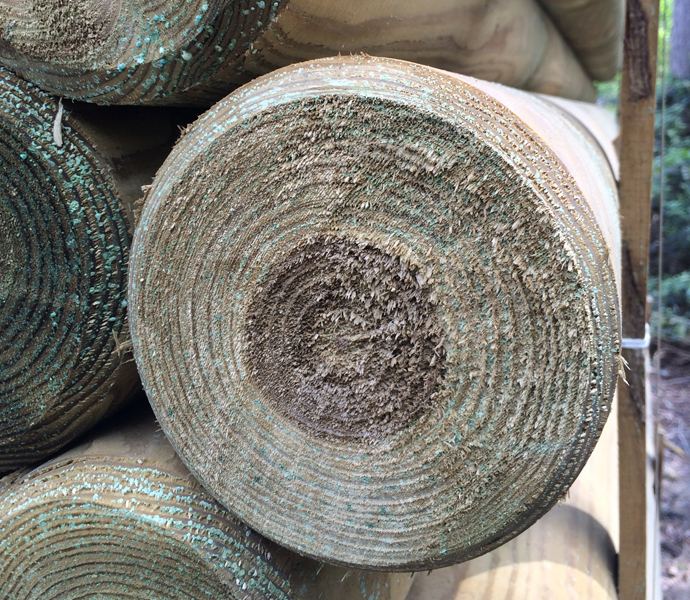 All our round posts for driving are four way pointed for easy and efficient installation. In addition the opposite end of each post is chamfered to reduce damage caused when driving in. the flexibility to cut sizes from stock as the task requires. Machined rounds are available in either UC4 treated or standard Pressure Treated Green.